Ex-circus lions and best friends, José and Liso were relocated from South America last year along with thirty others – the conclusion of ten years of work for ADI, following the sad lives of these animals, campaigning for them and finally their rescue, which brought them home to their native environment, where they blossomed, growing in health and strength. 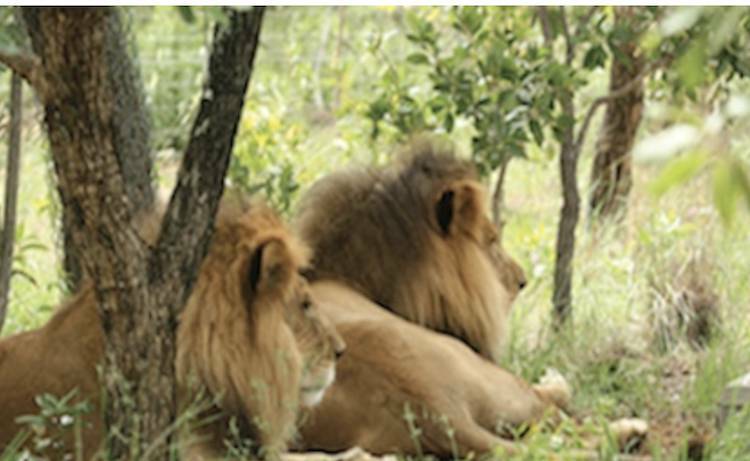 Everyone at Animal Defenders International and Emoya Big Cat Sanctuary is heartbroken and devastated that two ADI family members, two of our rescued lions, have been murdered in an evil attack on Emoya in South Africa. This cowardly killing of two innocent souls, sweet, elderly lions, one of whom had suffered brain damage from blows to the head in the circus, must not be left unpunished. The crime is currently being investigated by South Africa’s police and anti-poaching units. An ADI team including President Jan Creamer, is flying to South Africa to speak with the authorities to see what ADI can do to help bring the perpetrators to justice. We are keeping all options on the table until we speak with the police and anti-poaching units, including investigations and the offer of a substantial reward for information leading to convictions; we will be taking advice on the best measures. The safety of the remaining lions is our top priority. ADI and Emoya are reviewing all security measures; armed guards are in place and a range of additional security measures are being evaluated, including, if appropriate, evacuation of the lions whilst these are implemented. Information is still being gathered and we will not update further until we have spoken with the police and Emoya.